We have access to instant information, music and books. We buy fast food through the drive-thru. We beep at the car in front of us as soon as the light turns green. Resolutions to problems or relationships are expected instantly. We want to see immediate results related to the turnaround of our economy, despite the fact that it took years to get to this state. We enter foreign countries and expect to immediately change their culture. If a CEO is put in place and doesn’t demonstrate an immediate turn-around, they take a walk through the revolving door and someone new is put in place. Unfortunately, we try to live our fast paced lifestyle in what is naturally a slow paced world. 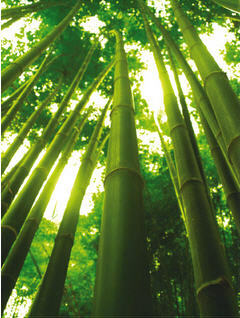 A good lesson on this subject is the story of the Chinese Bamboo Tree. It seems that this tree when planted, watered, and nurtured for an entire growing season doesn’t outwardly grow as much as an inch. Then, after the second growing season, a season in which the farmer takes extra care to water, fertilize and care for the bamboo tree, the tree still hasn’t sprouted. So it goes as the sun rises and sets for four solid years. The farmer has nothing tangible to show for all of his labor trying to grow the tree. Then, along comes year five. In the fifth year that Chinese bamboo tree seed finally sprouts and the bamboo tree grows up to eighty feet in just one growing season! Or so it seems…. The same is true for our children. Parents, who patiently work in teaching their children values and build strong character while overcoming adversity and challenge, grow a strong internal foundation. Had the Chinese bamboo farmer dug up his little seed every year to see if it was growing, he would have stunted the tree’s growth. We ask our little children to sit still and have patience. Much better lesson if we’re demonstrating that behavior. Do you have Santa’s Phone Number?